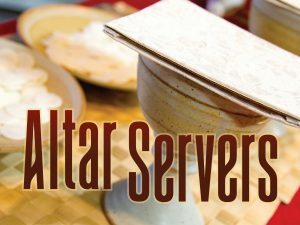 Altar Server Training will be held on Sunday, April 28th, after the 10:30am Mass. All youth currently in 3rd grade and up are welcome to attend the training. Please contact Char in the Church Office at (952) 472-8206 or cnee@ourladyofthelake.com if you are interested in attending. Thank you!